Chief Ken is a Freelance Writer with interest in international politics, religion and Sports. 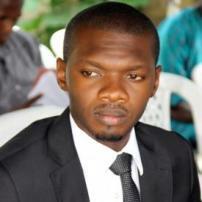 He has written for New York based Saharareporters.com and also involved in advocacy writing for Comandclem Nigeria Limited through their online Magazine news.comandclemonline.com. He has a personal blog kenadvocacy.blogspot.com where he started writing advocacy articles. He now writes on international and local politics.